The ATTRACT seed fund is open to researchers and entrepreneurs from organisations all over Europe. The call for proposals is already open and will collect breakthrough ideas until the 31st of October 2018. A high-level, independent Research, Development and Innovation Committee will evaluate proposals and select those to be funded based on a combination of their scientific merit, innovation readiness and potential societal impact. The successful proposals will be announced in early 2019. 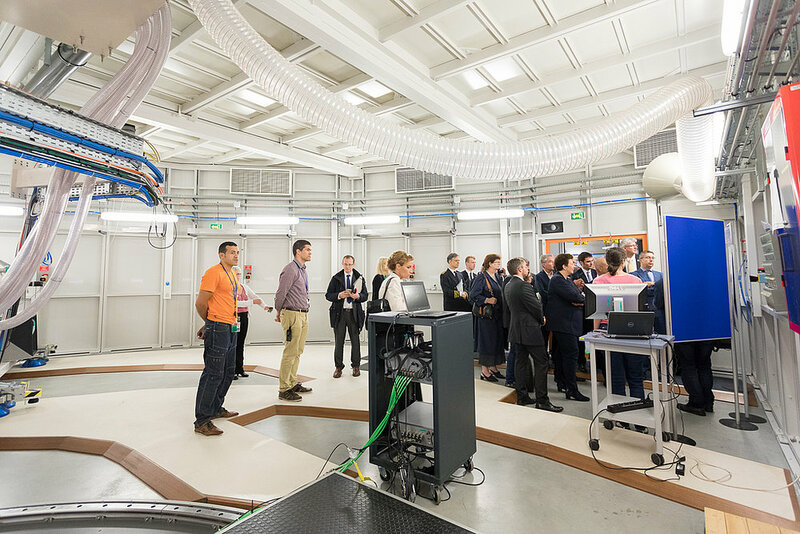 On Wednesday 13 June, Frédérique Vidal, France’s Minister for Higher Education, Research and Innovation, visited the EPN campus as part of a two-day programme in Grenoble. She was accompanied by representatives from important local and regional institutions. Mrs Vidal was welcomed to the ESRF by Francesco Sette, Director General, Helmut Schober, the ILL Director, Stephen Cusack, Head of the EMBL outstation in Grenoble, and the Director of IBS, Winfried Weissenhorn. Mr Sette and Mr Schober launched the visit with a presentation of the collaboration being developed on the EPN Campus to guarantee research excellence in Europe. 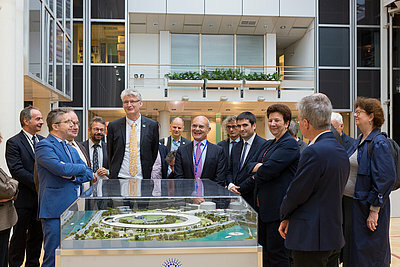 Francesco Sette presented the EBS project and the research carried out at the ESRF; Helmut Schober explained the prominent role being played by the ILL in determining the evolution of a rapidly evolving neutron science landscape. The visit continued with a tour of the ESRF’s ID01 instrument and the Cryo-EM platform, an excellent example of collaboration between the EPN institutions. 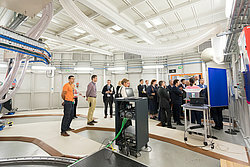 The tour ended for the visitors in front of the large red ESRF spectrometer on ID32. Mrs Vidal was accompanied by a delegation of local authorities, including Lionel Beffre, Préfet of Isère, Fabienne Blaise, Rector of the Grenoble Academy, Jean-Charles Colas-Roy, Member of Parliament, Yannick Neuder, Vice-President of the Auvergne-Rhône-Alpes region, Christophe Ferrari, President of La Métro, Claus Habfast, representing the Mayor of Grenoble, Lise Dumasy, President of the Communauté Université Grenoble-Alpes, Patrick Levy, President of the Université Grenoble Alpes, and Pierre Benech, General administrator of the Institut polytechnique de Grenoble.